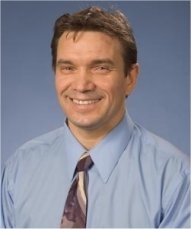 Dr. Val Vlad has been teaching Economics at Penn State Behrend for several years now. He grew up in communist Romania, a very different world from what we're used to. He survived the oppressive Ceausescu regime, and when the revolution came, he learned about capitalism the hard way--by doing business with firms in Western Europe. He eventually was inspired to study the free enterprise system more, and now has a PhD in Economics and teaches college students about how the free market system works.